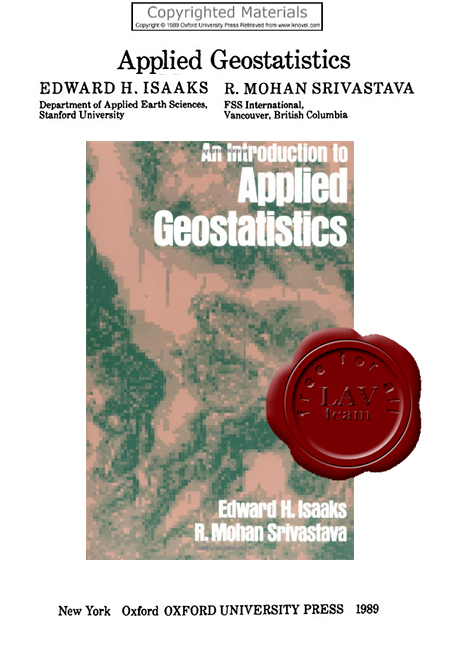 In Applied Geostatistics the authors demonstrate how simple statistical methods can be used to analyse earth science data. In clear language, they explain how various forms of the estimation method called kriging can be employed for specific problems. A case study of a simulated deposit is the focus for the book. This model helps the student develop an understanding of how statistical tools work, serving as a tutorial to guide readers through their first independent geostatistical study.